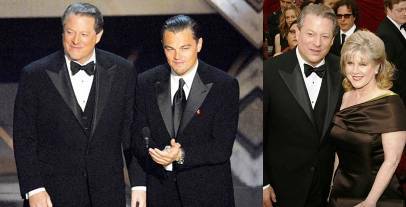 In the Awards family, the Oscars are the stuffy aunt whose opinion the family respects and around whom the family is on their best behavior. Everyone wears their best (or so they think) and they are polite and smile and thank everyone under the sun and lose with grace. Last night was not really any different. Ellen DeGeneres hosted for her first time, and did a swell job. 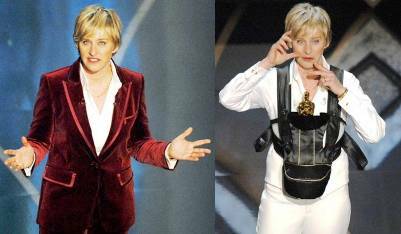 I especially liked her red velvet suit and her “Oscar Carrier” (pictured below). Highlight of The Night: Jennifer Hudson. 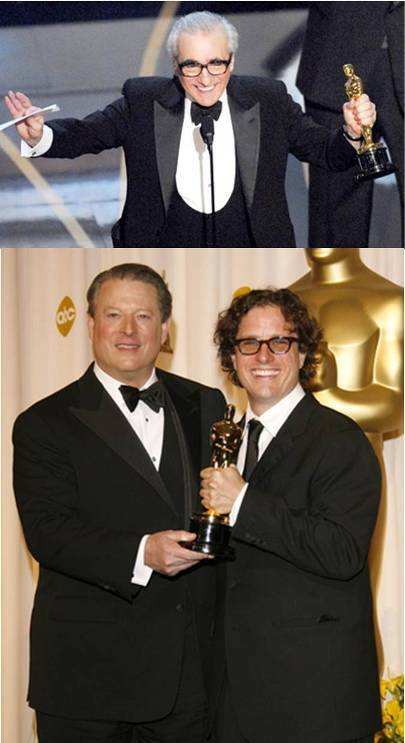 Al Gore. Jennifer Hudson. Al Gore. Brightest “Star”: Jack Nicholson’s head. What’s up with that?? 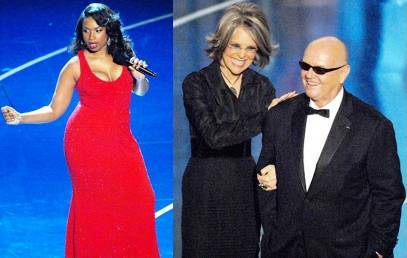 Tune in later for 2007 Academy Award fashion winners and horrible horrible losers. The late Jessica Tandy is the oldest woman to win Best Actress – she won for Driving Miss Daisy, at the age of 81. The oldest actor to win a Best Actor Oscar was Henry Fonda, who at the age of 76 won the Oscar for On Golden Pond. The actress with the most Best Actress Oscars is Katharine Hepburn, who won a total of four Oscars, in 1932, 1967, 1968, and 1981. During his lifetime Walt Disney was awarded the most Oscars of anyone ever nominated, with 26 Academy Award wins; he had a total of 64 nominations. previous post: Britney Spears Has Lost Her Friggin Mind! next post: February Has 28 Days. Do You Know Why? 48 queries in 0.849 seconds.